Compass Records has added Old Salt Union to the roster. Old Salt Union includes banjo player Ryan Murphey, fiddler player John Brighton, guitarist Rob Kindle, upright bass player Jesse Farrar, and mandolin player Justin Wallace, The band formed in 2012. Old Salt Union recorded their debut album a few months after forming. 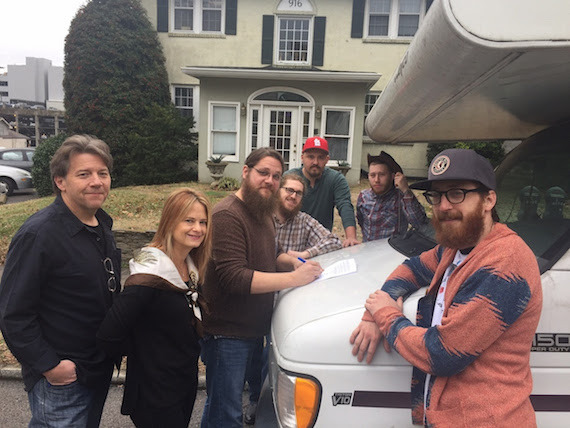 In 2015 Old Salt Union captured first place at the FreshGrass band contest, winning a $5,000 prize and a day at Compass Sound Studio with producer/label co-founder Alison Brown. “I’ve never seen a string band turn a roots music festival into a rave until I witnessed Old Salt Union live!. This is a band that knows how to please a crowd and they are inventive, spirited players to boot. We are proud to be associated with them and look forward to introducing their music to fans far and wide,” says label co-founder Garry West. 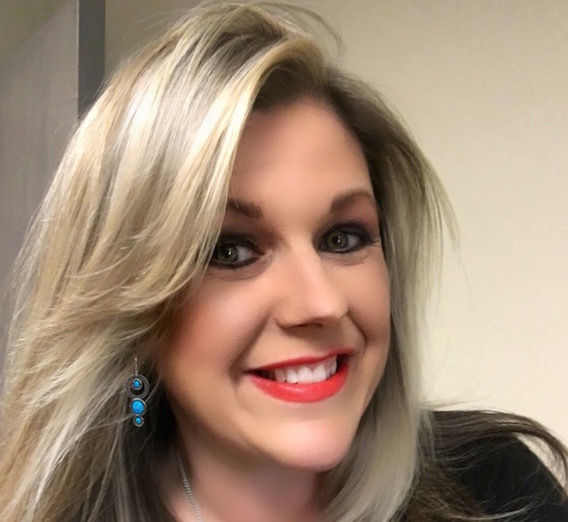 After a nearly four-year run and following the recent sale of Red Vinyl Music, Cheri Cranford will exit her position as General Manager, Streamsound Music Group, effective Feb. 1. Cranford will continue to manage the building which is currently for sale and will take on special events and projects independently while seeking her next opportunity. Prior to Streamsound Music Group, Cranford worked at Sony Music Entertainment for 25 years in various roles. She can be reached at cheri.cranford@comcast.net, or at 615-473-6837. Nashville entrepreneur Garrison Snell has launched online platform Crosshair Music, which aims to connect artists, especially independent artists, directly with playlist curators and other digital curators. Snell rolled out the web application’s latest version in January. 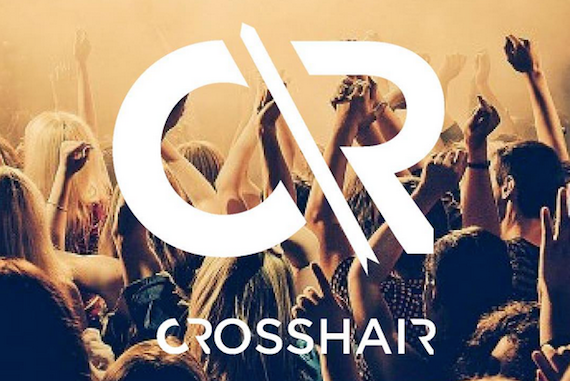 Crosshair currently works with 500 active playlists and tastemakers, representing a combined following of 42 million. Alternative band Judah and the Lion recently used Crosshair to promote “Take It All Back” securing placement on essential independent playlists that helped propel the song to 9 million Spotify streams. “Take It All Back” eventually became the band’s first No. 1 hit, topping Billboard magazine’s Alternative songs chart in January. Pictured (L-R) :Lisa Settle, Vicky Burnette, and Goose Gossett, Lyrics On The Lake Festival Directors; Brinn Black, Musicpreneur Storehouse CEO; Tim Gray, Musicpreneur Storehouse CFO. 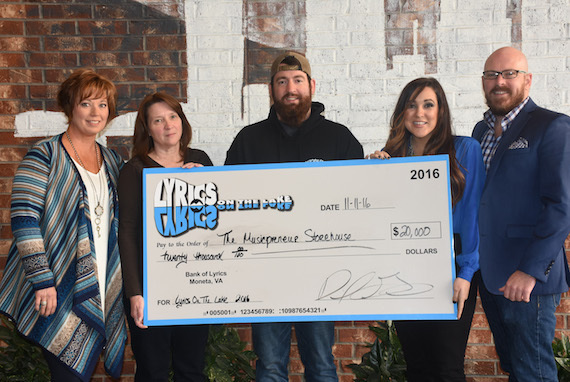 The Musicpreneur Storehouse, a Nashville nonprofit organization, has doubled their fundraising activities since its 2014 inception. The group has raised $119,000 to date with over half collected last year. 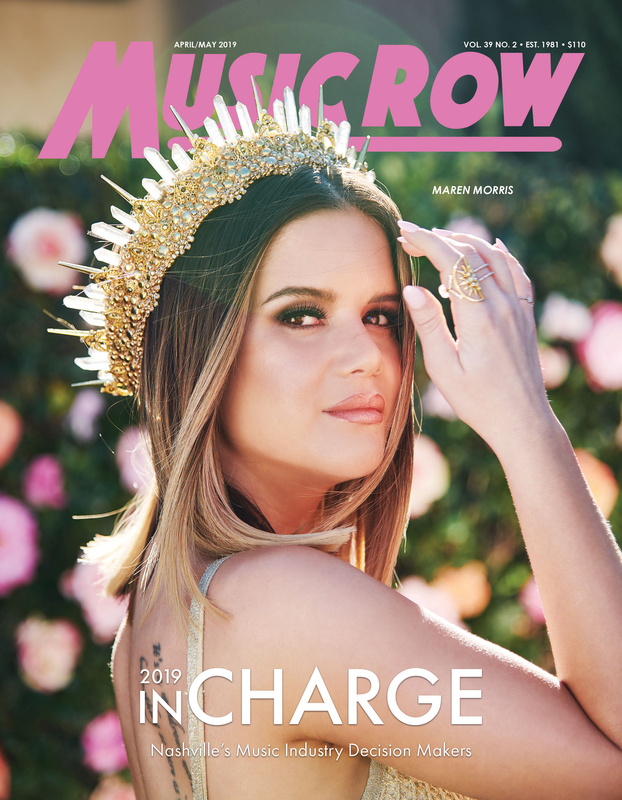 “MPS’s annual program and main fundraising event, Lyrics on the Lake was the driving force behind 2016’s success,” said the non-profit’s Founder, Brinn Black. “We raised a grand total of $65,000 last year! That allowed us to donate $20,000 to The Children’s Miracle Network Hospitals of Central and Southwest Virginia, as well as set aside $20,000 toward our core mission of ensuring that the future stars and leaders of Nashville have the resources to create, build, and sustain lasting careers and growing businesses,” Black added. Lyrics on the Lake is a five-day songwriters festival held in Smith Mountain Lake, Virginia. The organization hosted over a dozen other philanthropic events during 2016 including 17 fundraising concerts. One of those events was a Stuff-A-Truck Donation Drive to benefit the victims of the West Virginia Flood. The non-profit partnered with Clover Hill High School as well in Chesterfield, VA to fill three 18 wheelers with 15 tons of dog food, 5,400 rolls of paper towels, 17,280 bottles of water and a multitude of cleaning supplies, non-perishable foods, household items, clothing, and more for the cause.